Paul Schoolmeesters was one of first data providers in the Catalogue of Life. His Scarabs database was published in very first 2000 Annual Checklist. 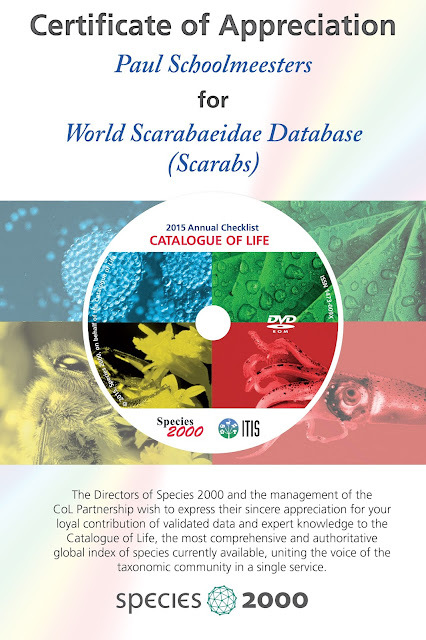 He has continued to be a very active Global Species Database custodian and the World Scarabaeidae Database has been updated every year since then and now twice a year! At the Catalogue of Life Global Team Meeting in Oostende this year he was awarded a Certificate of Appreciation for his 15 years of contribution to the Catalogue of Life. As Yuri Roskov, the Executive Editor, affectionately calls him, he is a Catalogue of Life Knight. 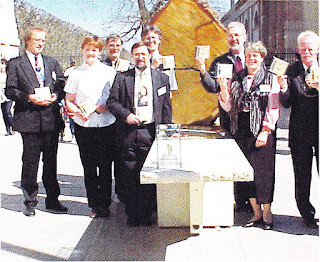 Paul also kindly agreed to fill in a short questionnaire about his database and his impressive achievement as an individual contributing a database of more than 38,000 species can be seen below.